With a whole new year ahead, now is the perfect time to relax and refresh with at-home spa treatments that are easy, natural, luxurious and, best of all, affordable. Significant savings. Most of the products that you’ll use are already in your home, and are less expensive than department store-bought skin care products or spa treatments. Avoiding harsh chemicals. Artificial ingredients found in typical drug store beauty products may contain cancer-causing compounds which can penetrate the skin and potentially cause harmful effects. Always natural and fresh. Skin care products purchased in a store contain preservatives to avoid bacteria contamination and growth. On the other hand, when you prepare your skin care items yourself you get a fresh and natural batch every time. Easy and fun to make. Simple recipes take minutes to prepare, but can be just as effective as store bought products. Brown sugar is a natural and affordable exfoliant with many health benefits, while grapeseed oil gently and deeply moisturizes skin without clogging pores. Mix together with your fingers. Apply to face and body by rotating in a circular motion. Rinse off with warm water. Egg white is great for tightening and toning skin and helps shrink pores. Yogurt is packed with vitamins and proteins which promotes strong wrinkle-free skin. Whisk together. Massage onto face and neck. Leave on for at least 20 minutes. Rinse off with warm water. Avocados are rich in omega-3 fatty acids, perfect for hydrating and great for moisturizing skin. Honey acts as a natural humectant, boosting skin’s hydration and is also a wonderful skin lightening agent. First, place a cloth in warm water and apply to your face to open the pores. 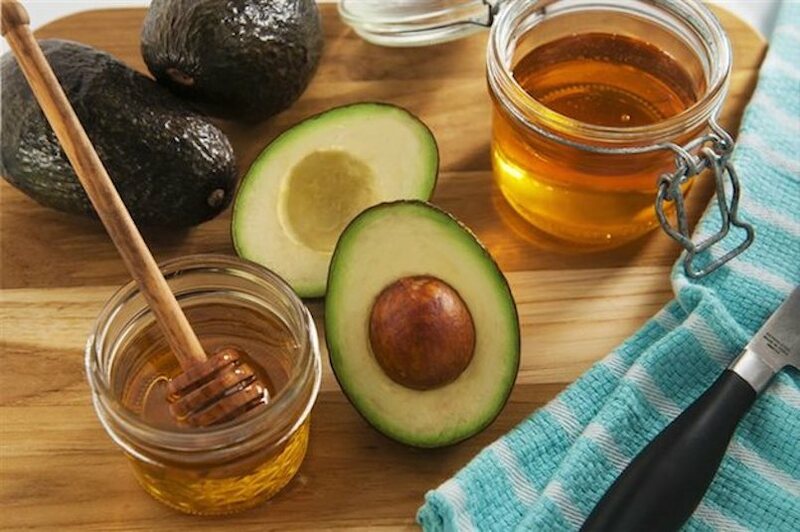 Mash avocado until creamy, combine with honey and apply to face for 15 to 30 minutes. Rinse off with warm water, then use cold water to close the pores. Use once a week. Banana is wonderful as an anti-wrinkle treatment. Mash 1/4 banana until very creamy. Spread all over face and leave for 15-20 minutes before rinsing off with warm water followed by a dash of cold. Gently pat dry. Grated potatoes can lighten under-eye circles. Potatoes contain an enzyme called catecholase, which is used in cosmetics as a skin lightener. Run one spud through your food processor and stuff the raw mash into a piece of cheesecloth. Apply to the area directly beneath your eye – don’t let the potato juice come in contact with the eye itself – and leave for 15 to 20 minutes. Wipe away the starchy residue. Epsom salts and essential oils are known for their powerful ability to sooth sore muscles and relieve aches and muscle pain. Place Epsom salts in a mixing bowl and add drops of essential oil. Mix ingredients together and add to a hot bath. When using natural ingredients, there are endless possibilities. If you don’t have the time to create your own in-home beauty products, Sprouts offers an assortment of high-quality body care products made with sustainable and ethically sourced ingredients at great values. There are two things you’ll never find Hayden without: coffee and a smile, and usually the lack of coffee results in a lack of a smile. Hayden is also addicted to Skittles and Starbursts, but only the original flavors. Should You Be Taking Hyaluronic Acid Capsules For Skin Health?